Although we’ve enjoyed what feels like the warmest September on record, Autumn is definitely upon us and this change is season brings about a change in fresh fruit and vegetables. 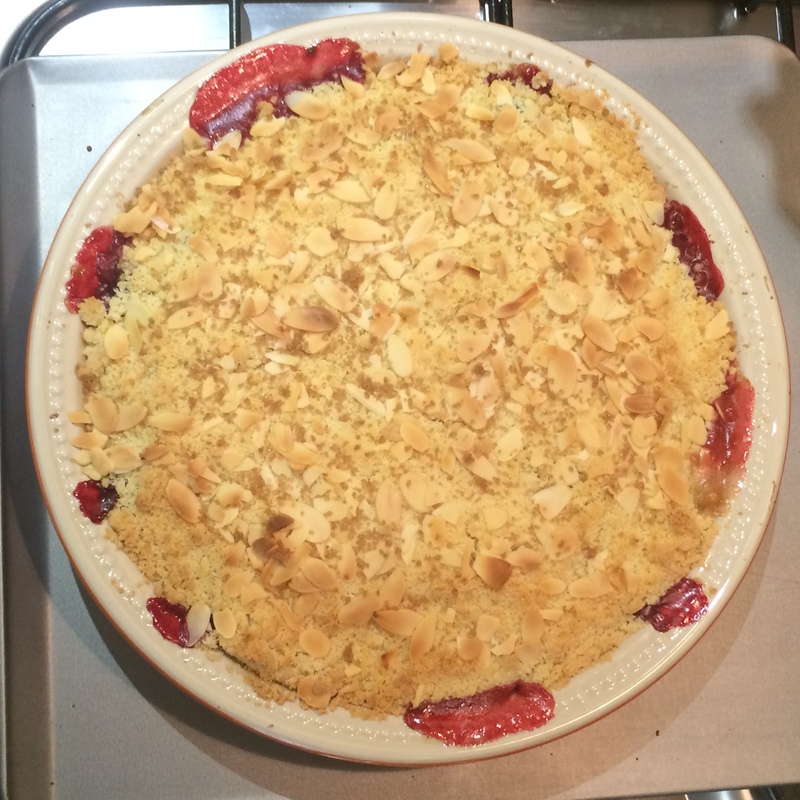 One of our favourite British desserts is the crumble, and although can be enjoyed at any time of the year with seasonal fruit (banana and apricot with coconut shavings in the crumble during the summer for example); apples and blackberries are abundant this time of year, so we’ve gone for that combination. The recipe makes enough for about 8 people and is delicious served with cream or ice-cream. As this is a dessert, don’t think about the calories too much, and enjoy! First make the crumble, by weighing out the caster sugar, flour and ground almonds into a large mixing bowl. Add the cubes of butter, toss in the dry ingredients and rub the mixture through the pads of your fingers until it resembles coarse sand. 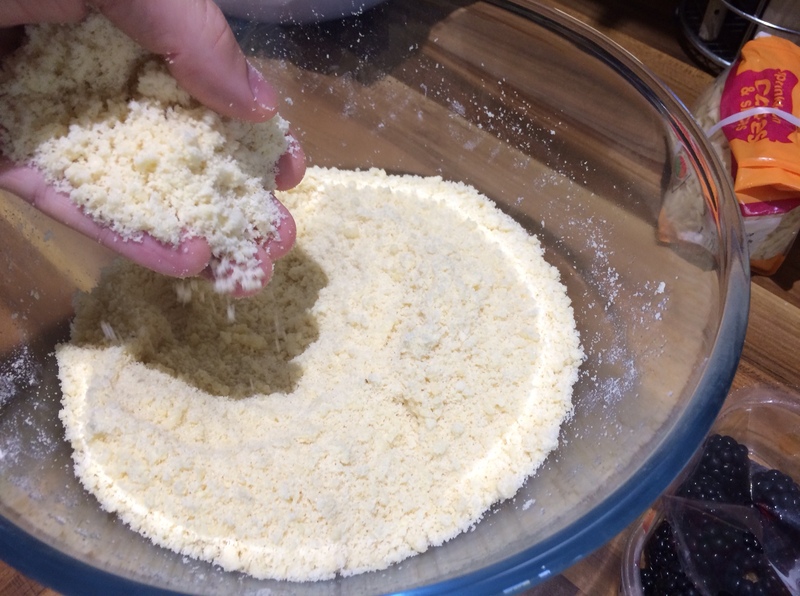 This is a little bit messy, but it’s the only way to make crumble mixture and only takes a few minutes to achieve. It can be rather therapeutic. Once the crumble mixture has achieved the consistency of coarse sand, set aside and wash your hands. Prepare the apples by washing, peeling, coring and chopping into pieces no bigger than half a thumb. At the same time, wash the blackberries carefully. Pre-heat the oven to 180ºC, then turn your attentions to the fruit. In a saucepan, add the water and butter and place over a medium-high heat until the butter has melted. Add the apple pieces, sugar and cinnamon then toss to ensure they’re all coated in the liquid. Turn the heat down to low-medium and leave to simmer for a further 5 minutes, stirring every so often to ensure that all the apple is cooked evenly. It should just be starting to become mushy. 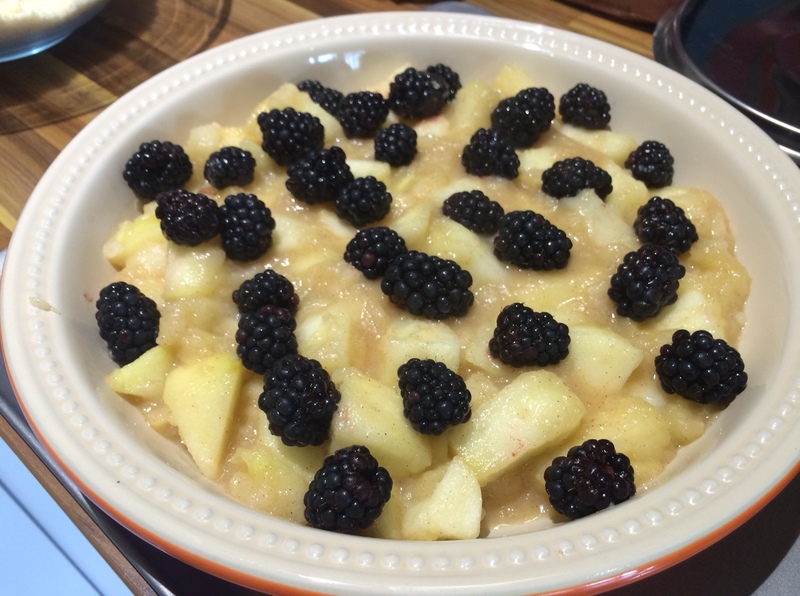 Spoon the apple pieces into your chosen crumble dish and scatter over the blackberries. Then pour the crumble mixture over this, so that the crumble is (reasonably) evenly covered. 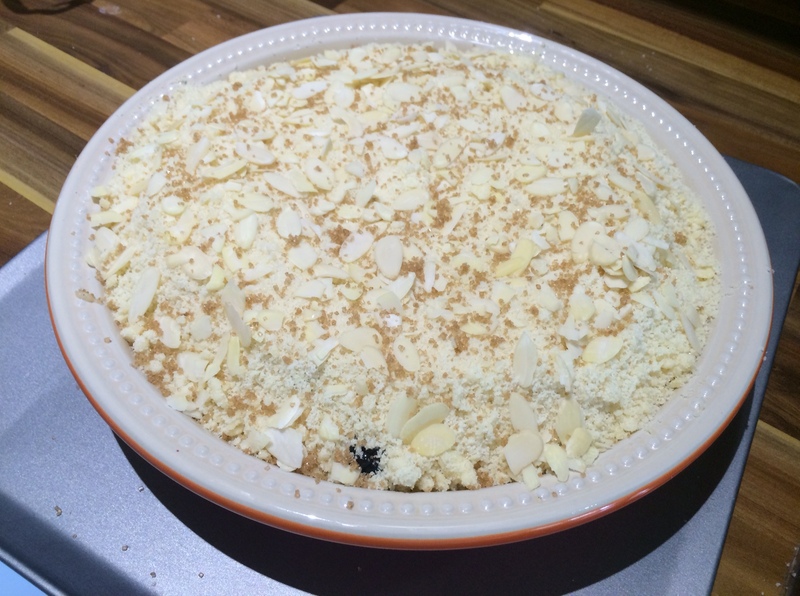 Scatter the flaked almonds and Demerara sugar on top and put in the oven. Cook for 25 – 30 minutes or until golden brown on top and the fruit mixture is starting to bubble out the sides. Serve warm and enjoy with cream or ice-cream.